The sun comes out! After a rainy night, we had a glorious day on thursday. 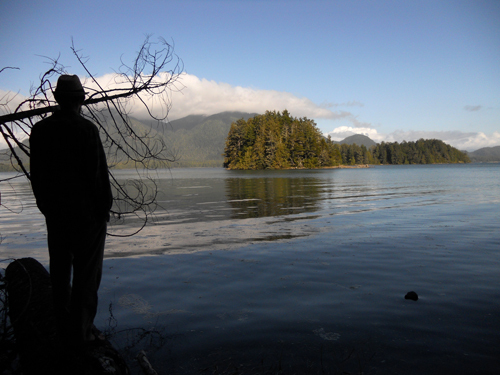 We walked towards Tofino first along Chesterman Beach, then on the walking/bike path beside the highway. Stopped for lunch at Tacofino and then onto the Tofino Botanical Gardens, which is beautiful and worth the visit. They offer a $1 discount to entry if you arrive on foot. There’s a nice little cafe there, altho we were denied afternoon coffee by a power outage! 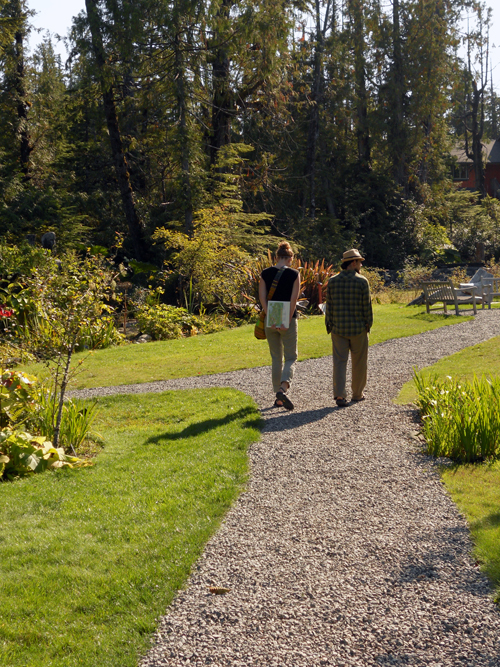 The 12-acre property has many types of gardens to explore, most with a coastal temperate rainforest theme. There is a wonderful boardwalk trail through the woods which leads to a small secluded beach with a wonderful view. 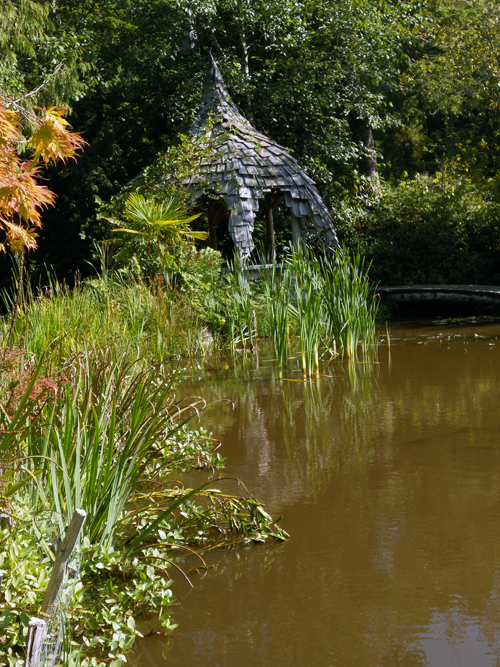 The duck pond at the Tofino Botanical Garden with a hut made by local artist Jan Janzen. Looking out to a couple small islands, with, I believe, Meares Island in the background. K and R in the garden.